ESIC Business & Marketing School has achieved the important goal of positioning its MBA programs within the best business programs in the world. All the four MBA programs delivered by ESIC have been recognized with the AMBA accreditation for its high-quality and innovative training methodology. This accreditation has been given by the Association of MBAs (AMBA), which is the only institution dedicated to the accreditation of MBAs in the world. The AMBA accreditation is only given to the most prestigious educational institutions in the world (less than 2%), and ESIC is now part of this notorious group. 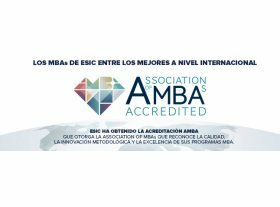 After three years of continuous effort, ESIC has obtained the AMBA accreditation given by the Association of MBAs, becoming the first educational institution in Spain to obtain this accreditation in 10 years. 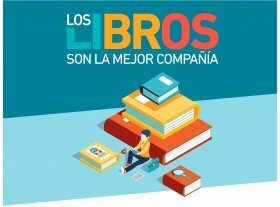 ESIC is the 6th business school in Spain to be recognized with this accreditation, together with IESE, IE, ESADE, EADA and Universidad Carlos lll. AMBA, based in London, is an independent international authority in higher education, whose accreditation is only given to the best MBAs in the world. This accreditation focuses on MBA programs while considering the training quality and the prestige of the evaluated schools. The Association of MBAs, which bases its accreditation standards on 50 evaluation criteria, has recognized the high quality of our School’s strategy, mission, faculty, students and alumni, programs, evaluation systems, and the impact that our MBAs have in the corporate world. “This international recognition to the high quality and innovative methodology of our MBA programs, represents the continuous improvement of our international mobility programs and the employability and professional development of our students” declared Eduardo Gomez Martin, Director General at ESIC. For the students, this accreditation involves the recognition of the high-quality training offered to them during their ESIC MBA program. It also offers them the possibility to be in contact with professionals participating in the best MBAs in the world. To the employers, this represents a guarantee that they are hiring highly-qualified leaders. This all strengthens the institutional credibility, the status, and the name of our School. 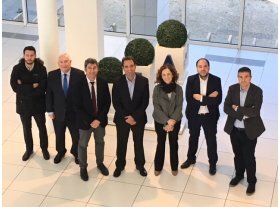 To conclude, it is important to highlight that ESIC is enhancing its MBAs portfolio in Madrid (Full-Time MBA, International MBA, Executive MBA, and Global MBA), as well as in Barcelona, Valencia, Bilbao, Zaragoza, Sevilla, Navarra, Málaga and Granada (Executive MBA), in order to meet the demands of the current changing and multicultural business environment.